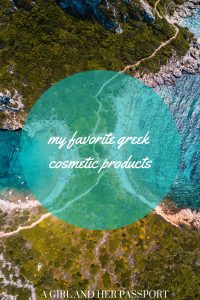 For the past three years, I have gone to Greece, and each time I go I discover another great Greek cosmetic or beauty product. As in many European countries, you can find upscale brands of beauty products in the pharmacies. Don’t worry; I am not becoming a beauty blogger. However, I think it is helpful to share this with you for two reasons. One is, so you don’t have to search for good brands for the basic needs of shampoo, lotion, etc. Two, I think these things make better souvenirs since you will actually use them. Korres was the first Greek beauty brand I discovered. I love the smell of cotton, and I found their brand when I saw a lotion called Pure Cotton. I also noticed they had a perfume called Pure Cotton as well! 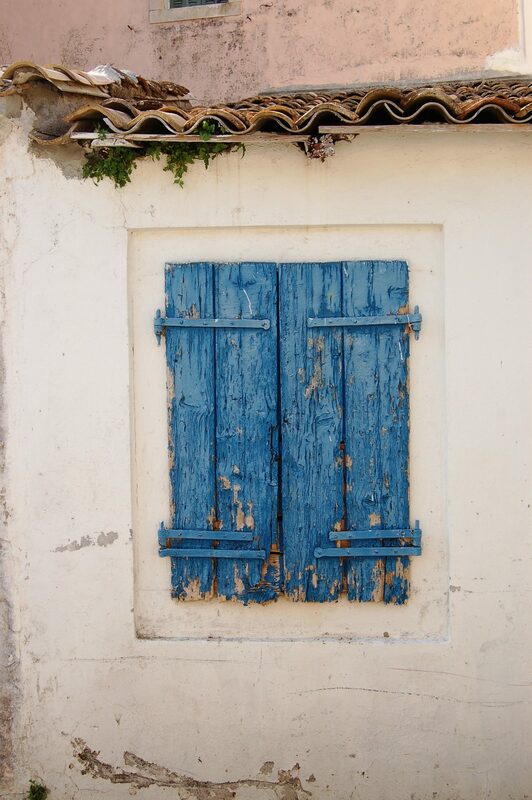 When I left Greece, I had bought both of them on one of the Greek Islands. The smell is heavenly and not overpowering. The lotion was a body butter and while thick absorbed quickly. My skin appreciated the moisture after two weeks in the Greek sun. At the Athens airport in duty-free, there is a whole Korres shop. Since I had some Euros left over, I bought some colored lip balm that went well with my tan. Then I also found an anti-aging body oil that smelled of Jasmine. That went in my basket as well! The oil was great for putting on after a shower. The next year, I discovered the Melissa stick. I had a few bug bites after my last trip, and the Melissa stick is an anti-itch formula made of natural ingredients. It goes on all my trips now. Korres also makes shampoos, conditioners, make-up, hair color and some natural health remedies. I have only tried the throat lozenges. You can really only find these items in the pharmacies and maybe the store in the Athens airport. Some of the Korres products are available at Sephora but not the body lotions and shower gels. It is mostly their skincare line, which I haven’t tried yet. 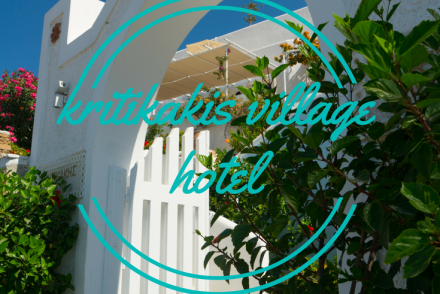 You can find some of their products on Amazon as well if you can’t wait till you get to Greece to try them. Apivita was my discovery of Greek cosmetics this year. I had not brought lots of shampoo and conditioner on this trip knowing I would be in Greece long enough to need to find a local brand to purchase. I have oily roots and dry ends. One day, I was looking and found Apivita had a shampoo and conditioner specifically for oily roots and dry ends! It is the first product like this I have seen that actually works for me. I could go for several days without my hair looking greasy at the roots. It also smells of rosemary! Apivita also makes body lotions and some anti-aging products. The other product I have loved from them has been the facial scrubs. I had been in Greece for so many months, my skin was suffering from all the sun exposure, my fault. I was looking for a scrub that would do more than just exfoliate. Apivita has a Bilberry brightening scrub and mask that is great. It is a bit expensive but a little goes a long way. Unfortunately, I have not found Apivitia in any US beauty stores yet. However, some products are available on Amazon like the Korres products. You may be able to find it in some other European countries though as they have a search function for stores on their website. Olive Era is a brand I found in the Sofitel Athens Airport Hotel. It was in the bathroom for the toiletries. If you love the smell of olive leaves then you will love this lotion! It smells like an olive grove with some citrus. I believe it is a spa product though as I haven’t seen it anywhere else. I can’t even find it online, which is a shame as I only took one lotion bottle from the hotel and there were two! This is definitely a hidden gem and something to look out for. There was also shampoo and conditioner of Olive Era in the hotel. They sold full-size bottles in the spa though. now I think I am on a mission. According to the label, it is made in Crete, so Crete may be on my next trip to Greece! 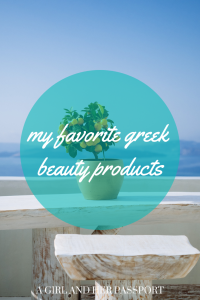 What about you, do you have any favorite Greek cosmetic or beauty brands? Excellent tips , one of best article you have shared .Awesome post. Thanks for mentioning the cosmetic-and-beauty-productsand. I think Everyone must go once. I would love to share it with my friends so that they also get benefited from your knowledge.